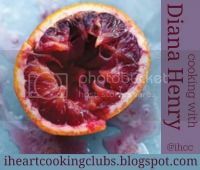 "Farewell Diana Henry", this is the theme for our final week with Diana Henry at I Heart Cooking Clubs (IHCC). Six months have already gone by and it has been a delicious six months. I have not heard of Diana Henry before this, and joining IHCC is a wonderful way of getting to know a new chef, whether we are familiar with or not. Much as I have enjoyed cooking with Diana Henry (love her chicken recipes), it is time to move on to our next chosen chef, Jacques Pepin and looking forward to some French cooking in my kitchen! IHCC starts with a new chef every six months, you are welcome to join us, the more the merrier! 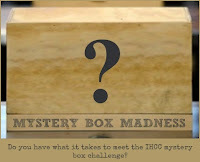 Drop by IHCC for more details. To say "Farewell Diana Henry", (though I'll definitely be seeing her again for our Potluck Weeks), I've made her salad, "Spanish Tomato and Bread Salad". I did make a few changes though. I've used some leftover homemade Garlic and Rosemary Foccacia which I've kept frozen, instead of using ciabatta as advised in the recipe. However I did not soak the bread in milk, and fried, as indicated in the recipe. I merely place the chunks of the torn foccacia in a roasting tray, drizzle with some olive oil, and toast them in the oven until they are lightly crisp. Now I love capers! And thought that I had an unopened jar in my pantry somewhere. I searched and practically empty out my pantry cupboard, but no, there's not a jar of capers around! What I found was, one jar of black olives, two jars of green olives and a small can of Manzanilla olives stuffed with anchovies. Since the recipe did ask for anchovies, so I've used the stuffed Manzanilla olives with anchovies. Capers is on my grocery list now! I've used a mixture of sweet, yellow and red cherry tomatoes. A simple, easy and wonderful salad to put together. I've served this alongside some roasted chicken, and it makes a lovely side dish. Tear the bread into chunks and put into a bowl with the milk. Turn the bread over in the milk and leave for 15 minutes or so. Halve the small tomatoes and cut the large ones into quarters or eighths; you may want to leave some of the tomatoes whole if they are really tiny; you just need a good selection of colour and shape. Put into a broad, shallow serving bowl with all the other ingredients except the basil (which is better tossed in at the last moment) and the oil for frying. Squeeze the milk out of the bread. It doesn't matter if some chunks seem to be falling apart; just reform them by squeezing with your hand. Heat the olive oil for frying and cook the bread pieces in batches, so that they become a lovely golden colour all over the outside. Add the basil to the salad along with the bread, toss well and serve. Farewell Diana Henry and Thank You! I Heart Cooking Clubs (IHCC), theme for this week "Farewell Diana Henry"
A simple fruity loaf, which is made into two small mini loaves. This bread uses the sponge dough method, and it gives a soft crumb texture. Any dried fruits can be used, here I have used dried cranberries, dried apricots and raisins. The dried fruits are first soaked in water or rum till soft and plump, then drain and dab with kitchen towel to dry them well. Ingredients for the sponge dough is mixed and left to ferment for 2 hours. Then the ingredients for the main dough is mixed with the sponge dough which is cut into small pieces. Butter is added and knead until the dough is smooth and elastic. Flatten the dough on a work surface, scatter the dried fruits and gently knead them in till evenly distributed into the dough. Roll into a ball, place in greased bowl, covered with greased cling wrap and left in a warm place to rise till doubled in size. Punch dough down and divide into two equal portions. Cover with cling wrap to let dough relax for 10 minutes. Roll each round to a rectangle, roughly to the length of the loaf pan, roll them up Swiss-roll style and place in the loaf pans, with the seams facing down. Cover with greased cling wrap and leave to rise till doubled in size. Bake for 30 minutes until golden brown. The top tends to get brown rather quick as this bread has honey, so tent the top with foil if the top is browning too fast. This fruity loaf is lovely when eaten on the day it is baked. It has soft and moist crumbs. On the next day, the crumb is not as soft but is still quite nice to eat with a cup of coffee or tea. I was sort of expecting a sweeter taste to this bread, but to my surprise, there's not a hint of sweetness at all. The next time, I would add some sugar, maybe about 1-2 tablespoons and a pinch of salt to the dough, as I feel that it needs it. For the filling : Cut the dried fruits into large dices. Soak the diced fruits in warm water or rum until soft. Strain before use, dab dry with kitchen towel. To mix the sponge dough : Mix all sponge dough ingredients and knead until the dough is shiny and smooth. Put into a mixing bowl and cover with cling wrap. Set aside at room temperature for 2 hours for fermentation. Put the dough on a counter top and cut into small pieces. Put pieces of sponge dough and main dough ingredients (except butter) into a mixing bowl and mix with a spoon. Turn mixture onto a counter top and knead with hands until combined. Add butter and knead until thin membrane formed. Press the dough flat with your hands. Spread with the filling and knead until the fillings are evenly distributed. Roll the dough into a round. Place into a greased bowl and cover with cling wrap. Set aside for about 45 minutes until doubled in size. Test the dough with a finger ; punch a hole at the center of the dough and if it just shrinks slightly, the fermentation has finished. Roll each portion into a round. Cover with cling wrap and set aside for 10 minutes to let it relax. Have ready two greased loaf pans ; size 16x9x6-cm. Roll the dough with a rolling pin into rectangular shape, roughly the length of the pan. Roll the dough Swiss-roll style. Place the dough, seam-side down into the greased pans, cover with greased cling wrap and set aside for 45 minutes until doubled in size. Bake in a 190C preheated oven for about 30 minutes until golden brown. Since there is honey in the dough, its surface tends to turn brown rather quickly. Cover the top with foil when the top is browning too fast. 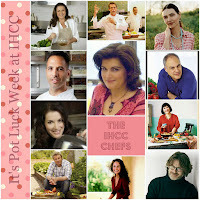 "March Potluck", the theme for this week at I Heart Cooking Clubs (IHCC). 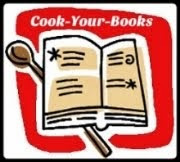 For our Potluck week, we are free to cook with any of our featured chefs at IHCC. 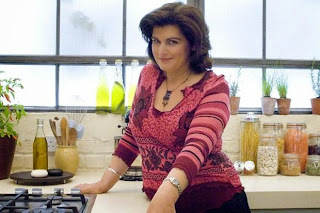 And I've chosen to cook with Diana Henry, the current featured chef. We only have one more week to go, before we start with the next selected chef, Jacques Pepin, on April 6th. Back in November, I have made one of Diana Henry's fish recipe, Spanish Baked Fish, and it was so good that I've made it one more time after that. Even now, I have a large piece of sea bass in my freezer, as I'm planning to make it again sometime this week. Yes, we love this dish a lot! Diana Henry has quite a collection of interesting fish recipes. And this Sea Bass with Lebanese Herb Sauce is one of them. Seeing how much my family love her Spanish Baked Fish, I decided to try this recipe for dinner. Well, just as I've expected, this is a delicious dish. Another quick and easy dish to cook. The sea bass is cleaned, gutted, scaled and make three slashes on each side of the fish. Brush the inside and out with olive oil and season with salt and pepper. Put in a roasting pan and bake 8 minutes, for a small fish. The sea bass I used is quite large, so I baked it for about 25 minutes. Sprinkle with chopped parsley and cilantro and bake for a further 5 minutes or until the fish is fully cooked. Serve it immediately with the herb sauce. For the herb sauce, I made some adjustments to the quantity of the herbs. Diana Henry has used a tablespoon each of chopped fresh flat-leaf parsley, chopped fresh mint leaves, and 2 tablespoons of chopped fresh cilantro. I know that my family loves more sauces in just about anything! So I have used more than the recipe calls for, about half a cup of flat-leaf parsley, a quarter cup of mint leaves and a whole cup of chopped fresh cilantro. Everything goes into the blender with the rest of the sauce ingredients, except the chopped fresh chilli which is to be added just before serving. Another adjustment I made was, to reduce the amount of olive oil from 1 cup to 1/3 cup and I feel that it was enough. Adjust the seasoning with salt and pepper, as needed. Pour into a bowl, add in the chopped fresh chilli and serve immediately with the baked fish. My daughter seems to love this herby sauce. She says it is really delicious eaten with white rice, and she is right! Preheat the oven to 400F. Make three slashes on each side of each fish. Brush the fish inside and out with olive oil and season with salt and pepper all over. Put into an ovenproof dish or roasting pan and bake for 8 minutes. Sprinkle with the chopped parsley and cilantro. Bake for 5 minutes. The fish is cooked when the flesh near the bone is white and opaque. Put all the ingredients for the sauce, except the chile, into a blender and puree. Taste for seasoning, then add the chopped chile. Serve the fish immediately with the sauce. I'm linking this post with I Heart Cooking Clubs (IHCC), theme for this week "March Potluck"
I'm always on the lookout for good sandwich bread, and I have a few favourites ; Briarpatch Herb Bread, Golden Sandwich Bread, Sour Cream Sandwich Bread, Sister Jennie's Potato Bread, and there are a few more! They are all so different from one another, but they are all good! When I saw this recipe Deli Bread, I know that it was just a matter of time before I try it. The first thing that attracted me to this bread is the caramelized onions. I love caramelized onions. And this bread uses a small amount of mashed potatoes and some caraway seeds. According to Dan Lepard, this is Saturday-night, Sunday-morning bread, as the dough is made the day before, keep refrigerated overnight, shape and bake the next day. And chilling the dough overnight helps to develop a stronger flavour to the crumb. (for me, it is a Sunday-night, Monday-night bread, as we had it on a Monday-night, a sandwich-dinner). Firstly, prepare the mashed potatoes by first boiling some potatoes in a small saucepan. I used Russet potatoes which I peeled the skins off, and while waiting for the potatoes to soften, I cooked the sliced onions until golden which takes about 15-20 minutes, pour the onions onto a bowl and let cool. By the time the onions are done cooking, the potatoes are already tender. Drain the potatoes and mashed it in a small bowl with a fork. I boiled only a third of a Russet potato and it yield about 75gm, so I used all of it (recipe uses about 50gm). While waiting for the onions and potatoes to cool, prepare the yeast starter by mixing the yeast with 50ml of warm water and 2 teaspoons of bread flour, and leave for 30 minutes. Combine all ingredients together (refer to the recipe instruction), and mix to a dough. The only changes I made was to reduce the salt to only 1 teaspoon which works out fine for me. Place the dough into a greased bowl, keep covered, overnight in the refrigerator. The next morning, the dough has risen to almost double in size. Turn it out onto a lightly oiled surface, knead lightly and flatten to a rectangle the length of the loaf pan. I've used a 9"x5" Pullman loaf pan, without the cover. Roll the dough up tightly like a swiss-roll and place in the greased loaf pan, seam-side down. (The baked bread did not rise as high as the Pullman loaf pan, so next time, I'll just use a regular loaf pan instead). Cover with greased cling wrap and let rise till size increased by half, about 2-3 hours. Just before baking, slash down the centre of the loaf. Bake in a preheated oven at 220C for 35 minutes, reduce temperature to 160C and continue to bake for another 10 minutes. I tent the top with foil during the last 15 minutes of baking as it was already brown. I placed the pan on the third lower rack of the oven. As soon as bread is done, remove it from the pan and let cool on wire rack. I like the texture of the crumbs. Smells really nice while the bread is baking, from the caramelized onions. The caraway seeds gives a lovely flavour and taste when you bite into it. My kids thought that I have used mint leaves as it has a light minty taste to it. The mashed potatoes provides the moistness and softness of the loaf. This is such a lovely bread for sandwiches. It has the right crumb texture as a good sandwich bread should be; moist, soft with firm crumbs. Mix the yeast with 50ml of the warm water and 2 teaspoons of the white flour, stir well and leave for 30 minutes. Place the onion and oil in a pan and cook on a low heat for 15-20 minutes, stirring well. As soon as it's golden, pour into a bowl and cool. Combine the onions and oil, potato and remaining 150ml water with the yeasty mixture, then pour this into a bowl with the rest of the white flour and the remaining dry ingredients, mix to a dough and leave, covered, for 10 minutes. Finally, knead the dough once for 10 seconds, return to the bowl, cover and refrigerate overnight for about 12 hours. 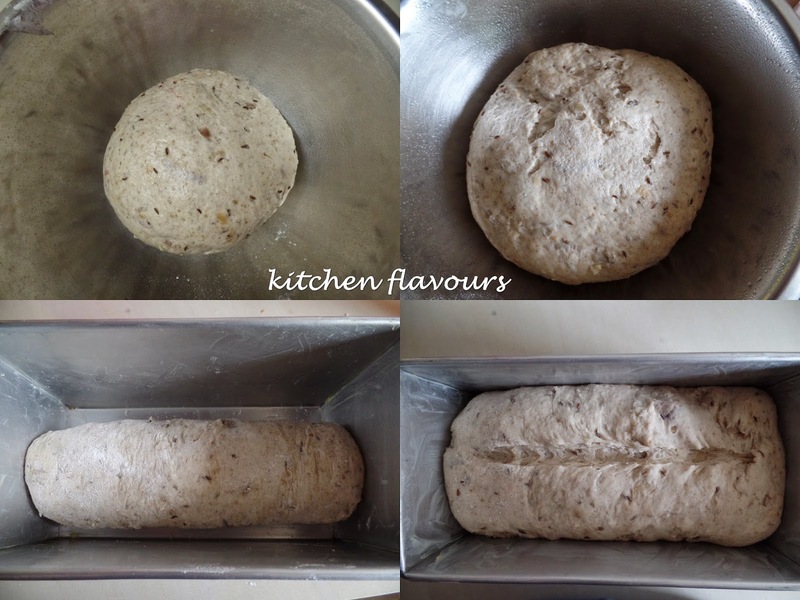 The next morning, knead the dough lightly again and flatten on a lightly floured surface into a rectangle about 20cm x 15cm, then roll it up tightly like a scroll. Oil and flour a loaf tin, and drop the dough seam-side down into the tin. Cover and leave for 2-3 hours or until increased in size by half. Heat the oven to 220C/200C fan/425F/Gas 7. Flour the top of the dough and cut a slash down the centre, bake for 35 minutes, then lower the heat to 180C/160C fan/350F/Gas 4 and bake a further 10 minutes. Remove from the tin and leave to cool on a wire rack. 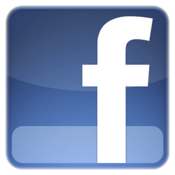 "Suitable For The Screen", the theme for this week at I Heart Cooking Clubs (IHCC). Such an fun theme ; food and snacks that we love to eat or munch on when we are at home, watching a good movie, re-runs or any of our favourite shows on TV. 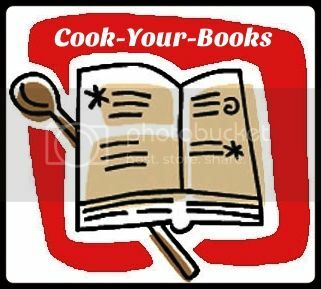 Pizzas and cookies came to mind, but then I found Diana Henry's "Parmesan and Thyme Shortbread" when I googled online. It sounded so buttery and cheesy, and I'm already imaging having it in front of the telly watching one of my favourite comedy show! These shortbreads are so easy to make and takes very little time. Firstly cream the butter till softened, the amount is quite small, so I just use a small bowl and a spoon, and takes only minutes. Then in a medium bowl, add all the other ingredients, mix in the softened butter, and combine the mixture with your hands into a soft dough. I then place the dough on a large piece of clingwrap, shape the dough into a sausage 9" long, wrap it up with the clingwrap and place in the refrigerator to firm it up for at least an hour. To bake, preheat the oven to 150C/300F, remove the dough from the refrigerator, unwrap and slice them into 18-20 discs. Place them on lined baking sheets, spacing them 2" apart as they will spread a little. Bake for 20 minutes until golden brown. The shortbreads will be soft when just baked but will harden upon cooling. Let the shortbreads cool on the baking sheets for about 5 minutes, then gently remove them to a wire rack to cool completely. These savoury shortbreads are flaky, tender, buttery and cheesy. Great with a cup of warm tea. Cream the butter until soft, then add all the other ingredients and combine with your hands. Form into a sausage shape 23cm (9in) long, wrap in clingfilm and chill for about an hour to firm up. Preheat the oven to 150C/300F/Gas Mark 2. Cut the shortbread into 18 to 20 discs and place on a large baking sheet, leaving room for each to spread. Bake for 20 minutes, until golden. The biscuits will seem slightly soft but they do harden as they cool. Leave to cool on the baking sheet, then lift to cool completely. 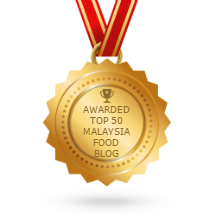 I'm linking this post with I Heart Cooking Clubs (IHCC), theme for this week "Suitable For The Screen". It has been awhile since I last baked any muffins. I was flipping through a muffin cookbook, "750 Best Muffin Recipes", and could not decide which muffin to bake! Too many recipes, and I keep changing my mind! I finally settled on Milk Chocolate Sour Cream Muffins. I did not have any sour cream at hand, but I do have a tub of yoghurt. The rest of the ingredients are just the basic baking stuffs that I already have in my "baking pantry", including the milk chocolate bar. I use a whole bar (200gm) of milk chocolate, cut them into chunks. As usual when making muffins, the dry ingredients are mixed in a large bowl, the wet ingredients mixed in another bowl, and combine the wet ingredients into the dry ingredients, stir to combine, taking care not to overmix the batter. The chocolate chunks are then stirred in gently. Spoon into the prepared muffin pan and bake as directed. This recipe yields only 10 muffins instead of 12 as indicated. Let it cool for a few minutes, and eat it while it is still warm. These muffins are simply delicious! Look at the melting chocolate! Yummy! The crumbs are really moist, soft and tender! And it stays as soft on the next too. They are not too sweet and each bite is just perfect with the melting chocolate chunks! 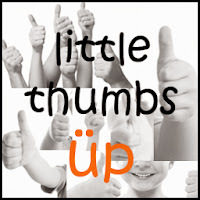 Give this a try, I'm sure your family would love it too! In a medium bowl, whisk together brown sugar, egg, butter, sour cream and vanilla until blended. Add the egg mixture to the flour mixture and stir until just blended. Gently fold in chocolate chunks. Divide batter equally among prepared muffin cups. Sprinkle with turbinado sugar. Bake in preheated oven for 19 to 21 minutes or until tops are golden and a toothpick inserted in the center comes out clean. Let cool in pan on a wire rack for 3 minutes, then transfer to the rack to cool. **Using a standard-sized muffin pan, this recipe yields only 10 muffins, instead of 12.